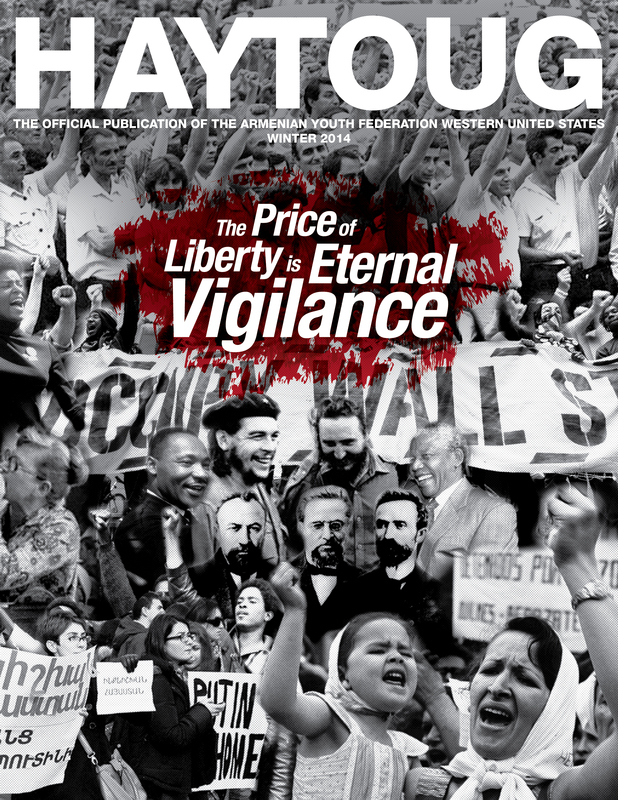 The new edition of Haytoug Magazine is set for release in the next couple of weeks. SUBSCRIBE NOW to receive your FREE copy! The Armenian Youth Federation Western Region is happy to announce that the application for the 2014 Youth Corps program is now available online. Currently entering its 20th year, AYF Youth Corps provides Armenian youth the opportunity to build and maintain ties with their homeland. 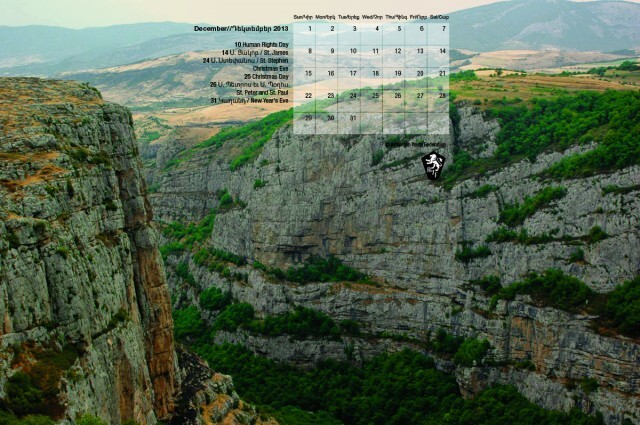 Participants will have a fun, productive, and unforgettable summer in Armenia and Artsakh. AYF Youth Corps began in 1994 as a tool for Diasporan youth to directly participate in the rebuilding of our homeland that suffered a devastating war for the liberation of Artsakh. In 2008, the program evolved from a reconstruction effort to a summer day camp, in order to better utilize the volunteer potential of Diasporan youth as well as to build stronger connections with the youth in Armenia. By 2013, the day camp model proved successful, as it rapidly expanded from 1 location to multiple camps in Gyurmi, Proshyan, Stepanakert, Shushi, and Askeran. The AYF Youth Corps day camps accommodated over 850 children last year, and the AYF is working on expanding its reach even further in 2014. For the 20th year in a row, the lives of participants and the hundreds of children they interact with in their homeland will be changed forever. The program is six weeks long, with one week of touring, and five weeks of volunteer work in Armenia and Artsakh. Participants will travel extensively throughout Armenia, Artsakh and even Javakhk, experiencing the historical and present-day treasures that are not easily found. The majority of the participants’ time will be spent volunteering in camps for Armenian children, making connections, and helping shape their futures. The program is perfect for first-time visitors and frequent travelers to Armenia because of its unique combination of volunteerism and tourism. It is open to all youth between the ages of 18 and 30. Candidates should be motivated, bright, adventurous, and interested in making a difference in their homeland. Apply as soon as possible. This year’s program will run from July 5 to August 14. To get a glimpse of the program through photos, videos, blogs, and to apply to this once in a lifetime experience, visit www.ayfyouthcorps.org. 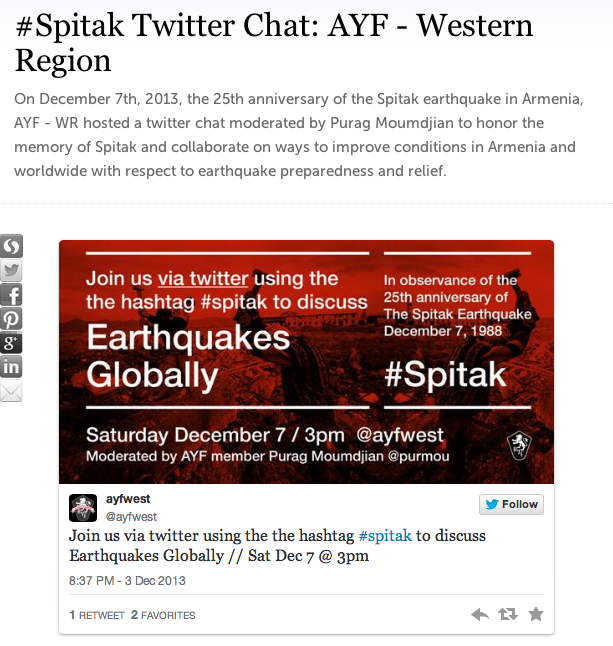 On Dec. 7, the AYF-WR hosted a Twitter chat in honor of the 25th Anniversary of the Spitak earthquake in Armenia. The 6.8 magnitude earthquake killed more than 25,000 people and destroyed the city, leaving thousands homeless and displaced. Participants from across the United States and Canada discussed ways to improve conditions in Armenia and better prepare for earthquakes and relief efforts throughout the world. The chat was moderated by Purag Moumdjian of the Pasadena “Nigol Touman” Chapter. Those taking part in the discussion generally agreed that foreign aid is not enough to restore a country following an earthquake. “[T]he government of the country itself has to be committed and stable enough to use foreign aid effectively [and] help its people,” said Anoush Djrbashian of the Burbank “Varak” Chapter. 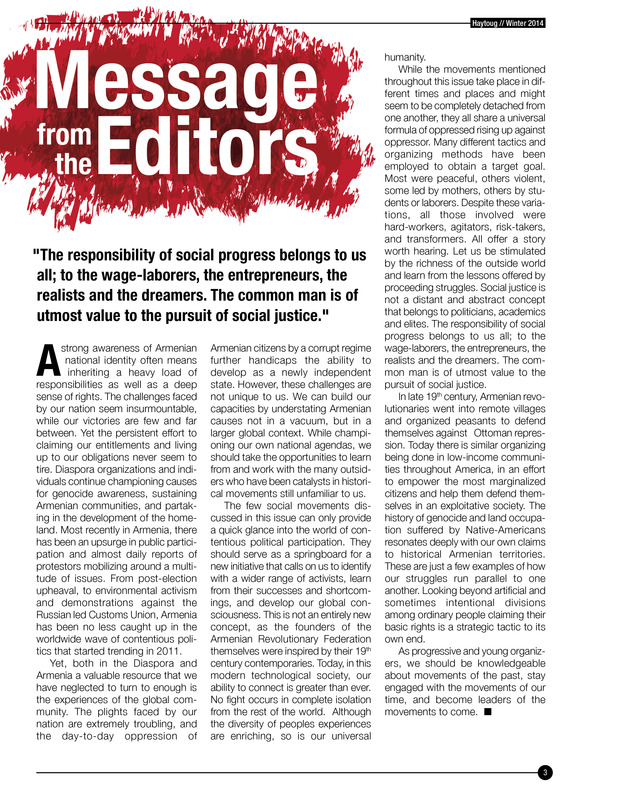 “The internal structure (or lack thereof) is the problem,” agreed AYF-WR Executive Director, Stepan Keshishian. Moumdjian posed a question about what needs to be done to improve infrastructure in Armenia for better earthquake preparedness. Answers included suggestions such as educating the country about disaster preparedness, and developing Diasporan projects in Armenia. Tro Krikorian believes the latter to be a method that has proven to be effective in the past. The discussion lasted about an hour and a half. For complete coverage, click here. 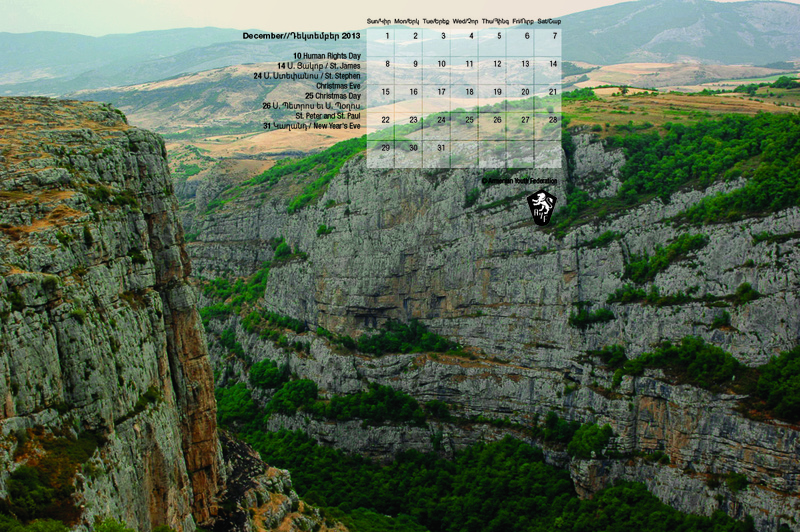 Desktop Calendar of events for December 2013. 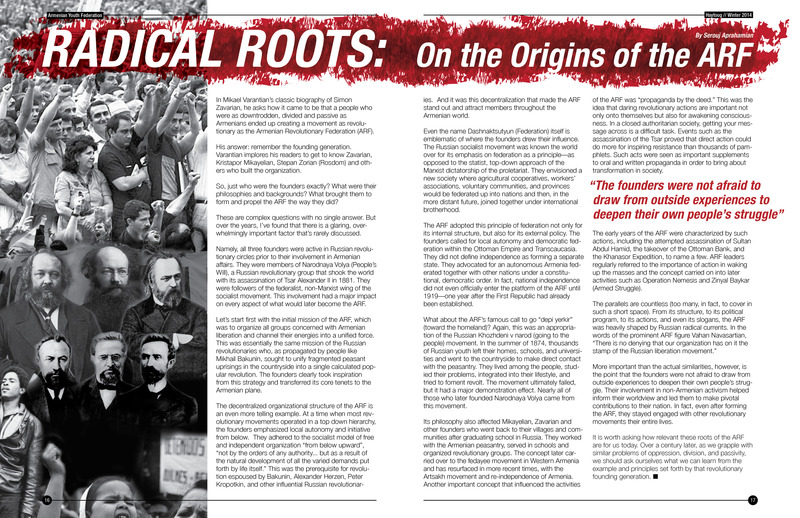 To download the full size, click the preview above. Right click on the full size image and save it to your computer.